I saw this recipe on Pinterest and all of the comments of people raving made me want to try it. I was especially interested that many moms posted that their kids LOVED this recipe and sure enough, it was so tender, even my 17-month old ate it! My husband has already asked me to make this again this week, so I would call it a winner. I adapted the recipe a bit for our taste, which is what I am listing below. 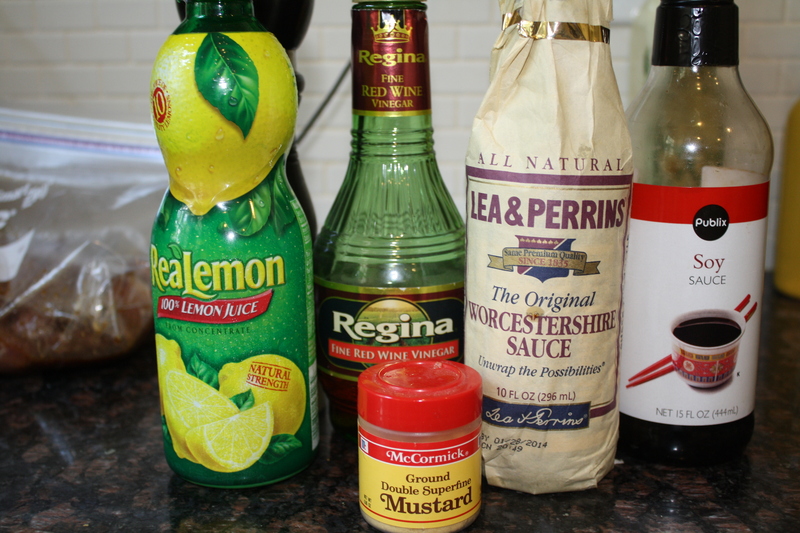 I will also paste the link to the original recipe. The secret is to really let it marinate — great to prepare before work and then just cook when you’re ready. I served it with baked apples and corn. Combine all ingredients in a small bowl and whisk well. Trim the pork tender of as much fat and silver skin as you can. 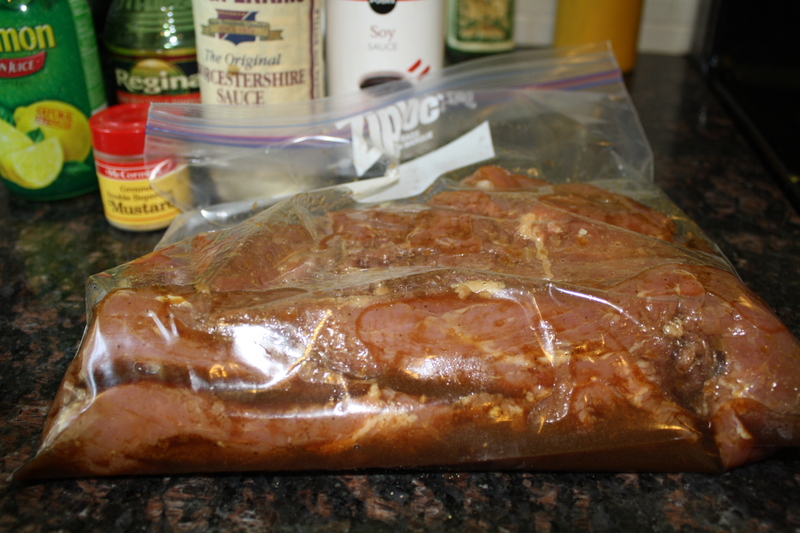 Place pork in a large Ziplock baggie and pour marinade over it, reserving about 2-3 tbsp for later. Put in fridge and let marinate for up to 8 hours. Preheat oven to 350 degrees. 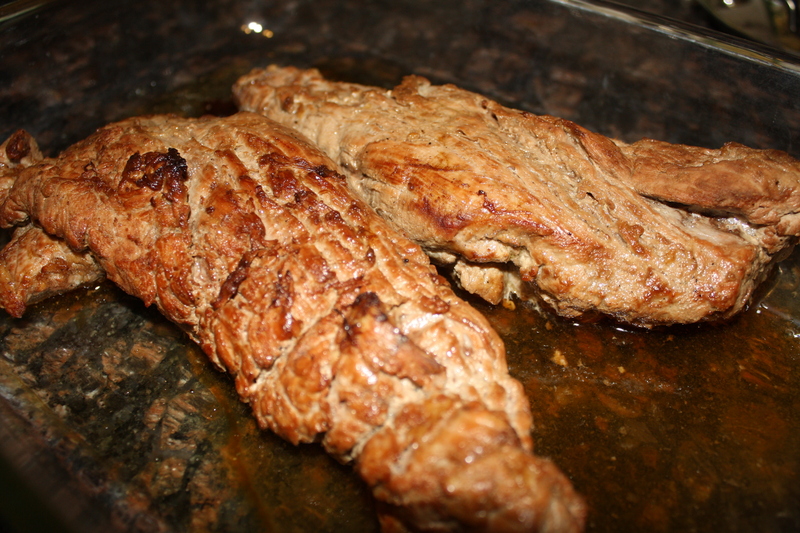 Heat a large skillet over medium-high heat and sear the pork tender for 2 minutes on each side. Make sure the skillet is good and hot before adding the meat. 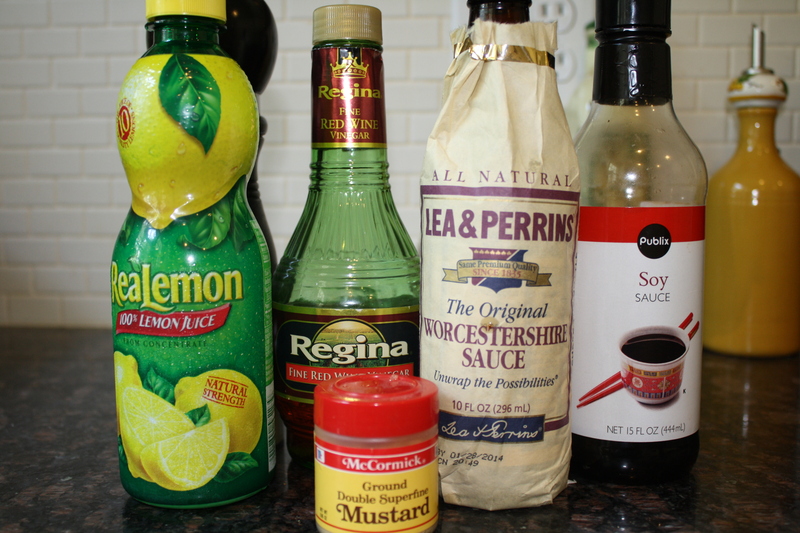 No need to add oil to the skillet, the marinade has plenty. 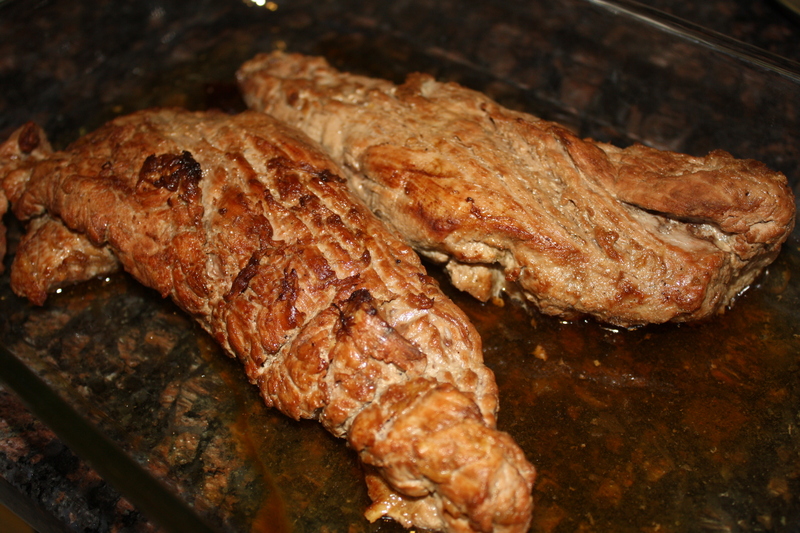 Using tongs, move the tenderloin to an oven-safe dish and bake for about 40 minutes. While the pork bakes, place the skillet back over medium heat, add 1/2 cup chicken broth and scrape the browned pieces off the bottom of the pan. 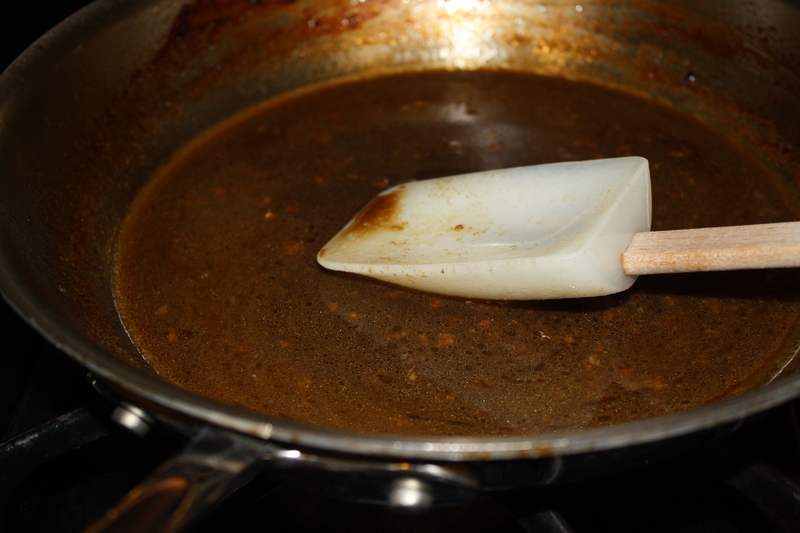 Add the reserved marinade (thoroughly mixed) and let boil down for about 3 minutes. 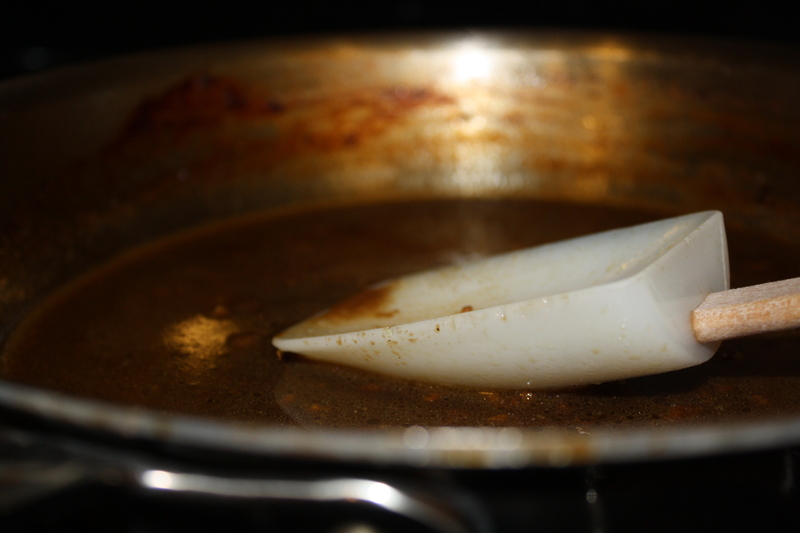 Add a small pat of butter, remove from heat and stir until butter has melted. Slice the pork and serve with the pan sauce. This entry was posted in Pork, Weeknight Suppers by ohtasteandsee. Bookmark the permalink.